Yola is a free website builder that offers an array of templates or the option to start with a blank site. In order to collect donations on a Yola site, you can embed Donorbox‘s donation form or add a donate button. To embed the form, your site must be SSL secured. If you want a more subtle look, you can use a donate button which links to your SSL secured donation page, where your donors can securely make donations via credit card, PayPal, or low fee ACH payments. 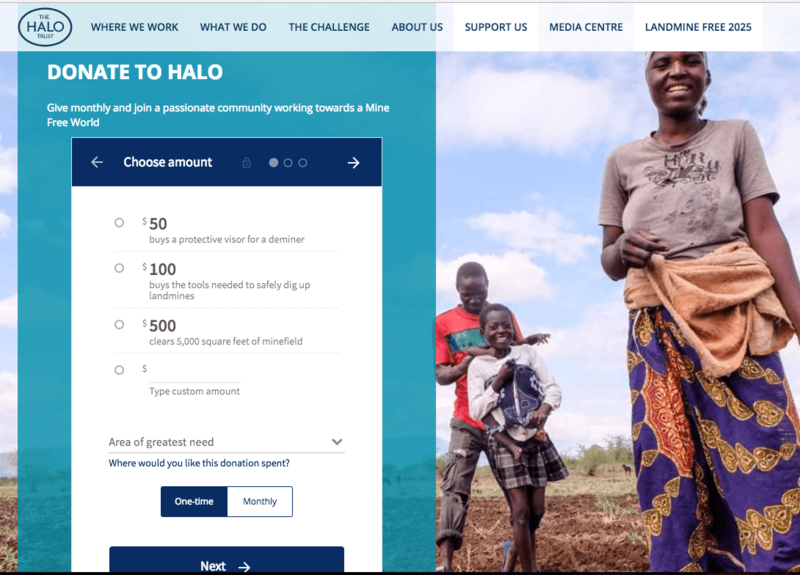 Adding a donate button to your Yola site is easy. Start on your Yola homepage and select “Button” from the menu at the top. A pop-up will appear. Here you can enter the text you wish to appear on the button. 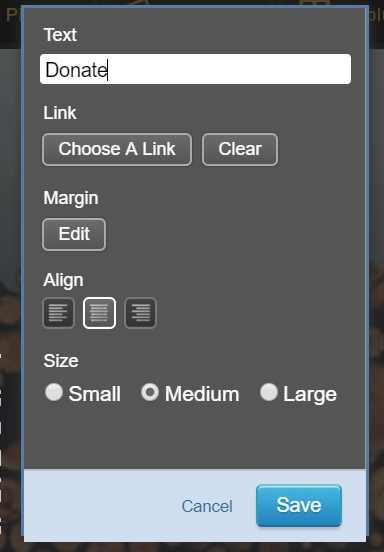 You can customize the size and alignment of the button at this time too. Next, click on “Choose a Link” then “External link.” Now head over to your Donorbox dashboard to retrieve the link. Once on your Donorbox account, find where it says “secure donation page” and copy that link. 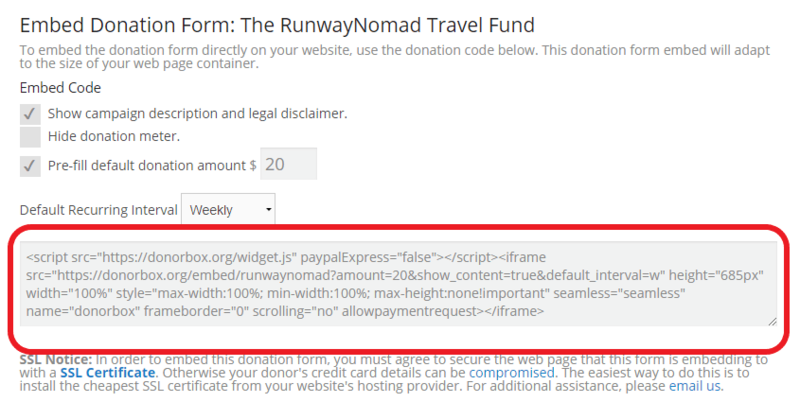 To embed the donation form, start on your Yola site, and select “HTML” from the menu at the top. A large white box will appear where you will post the embed code. To get the embed code, head over to your Donorbox dashboard. Select “Embed Form” for the fundraising campaign for which you will be collecting donations. The embed code will pop up. Copy the code then head back to your Yola site. Paste the code into the white box and choose your preferred alignment of the form. Hit “Save,” then the embed form will appear on your site. You can adjust its location on the site. You’re almost ready to start collecting online donations with Donorbox- just publish your site and now you can get fundraising. For more nonprofit tips and news, follow us on Twitter @Donorbox and like Donorbox on Facebook.